A picturesque manor hotel with modern amenities in the mountains. With simple, stylish rooms and a great restaurant serving local delicacies, it's perfect for a holiday in the French Pyrenees. For those interested in natural history, the nearby prehistoric Niaux cave is unmissable. Active Holiday - With ski slopes within ten miles and great walking opportunities closeby, it's perfect for an active holiday. Sights nearby - Visit the mesmerising caves Niaux and Bedeilhac, both within three miles of the hotel. Great walks - Make the most of the beautiful walking trails in the surrounding mountains. This Benedictine monastery dates back to the 10th century. Expect grand spacious interiors and comfortable rooms in an historical, romantic setting within a picturesque village in the Cathar region not far from Toulouse. Its superb cuisine is a particular highlight. Country Escape - A luxorious former abbey and 16th centruy palace where one can unwind in style in the cloistered gardens or exquisite salon. Foodies - Gourmands will be in heaven- the five course menu dégustation is not to be missed, nor is the extensive wine list. 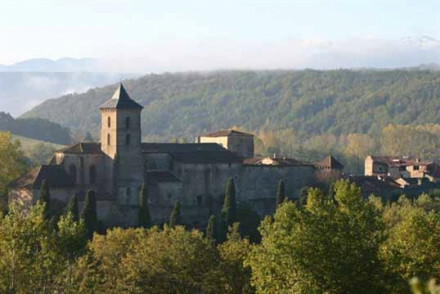 Sights nearby - Make sure to visit the medieval city of Mirepoix, just a ten minute drive down the road. Birdwatching - Bring your binoculars, this region plays host to many rare and exotic breeds of bird. 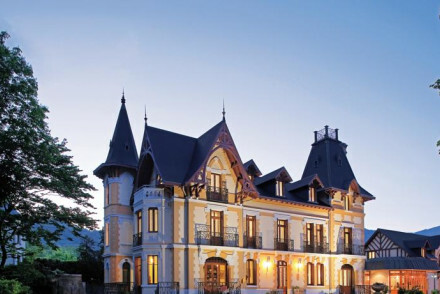 An elegant chateau in central Mirepoix - an ideal location for exploring the Languedoc and Cathar region and its castles. Not far from Carcasonne, Toulouse, Albi, and at the foot of the Pyrenees. Either a luxurious place to relax after exploring, or a weekend break with friends. Local exploring - At the foot of the Pyrenees in the Cathar regions, and an hour from Carcasonne. 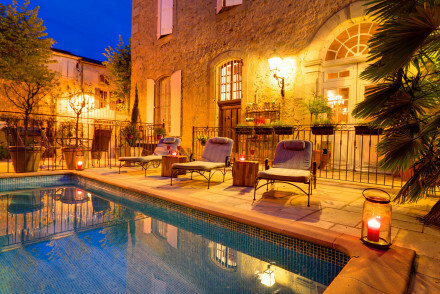 Country Escape - Located in the Languedoc and Cathar regions. Groups - A great place for a weekend house party.